Screenshot of a dormant dashboard by @topgold. I NEVER CHANGED my default home page since iGoogle was dumped into the dead pool. And now my first-ever digital dashboard is well and truly shuttered. I'm not worried about the datastream my Google gadgets once served up to my war-torn laptop. Those gadgets kept working, but in terms of dedicated icons such as Gmail, Google Calendar, Google Drive and Google Bookmarks. And instead of the data percolating through iGoogle, the datastream runs faster through dedicated icons. Photo of @topgold's Moleskine at work. ALONG WITH COLLEAGUES in Auckland, Berlin, Galway, Paris, Salford, and Wollongong, I have joined an international community of practise for the purpose of collaborating with research processes involving sophisticated creative multimedia. It's hashtagged #iCollab. I spend an hour every Monday evening in a Google Hangout with colleagues bringing unique perspectives to the project. After many of these Hangouts, I try to let the dust settle by doodling in a Moleskine. In the flow plan shown on this blog post, I'm trying to validate how the course material I organise might be enbanced when shared collaboratively online. During this academic year, I will document how this collaborative dimension will work when viewed through browsers on desktops projected onto walls, on tablets and on small mobile phone screens. 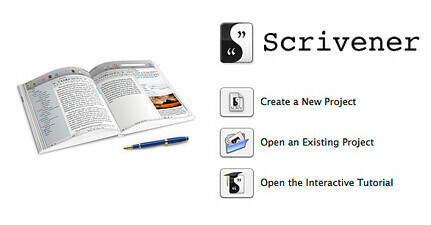 Screenshot of Scrivener by @topgold. I HAVE STARTED writing inside Scrivener because I want to save time and Scrivener's MultiMarkdown helps me avoid problems that might occur when publishing to different formats. So I've updated the program on my time-tested Windows laptop. The update resulted in tweaks to the colour chips and text alignment in the Label and Status menus with more consistent displays of "No Status" and "No Label" in the outliner. There are also a few other changes to outliner options and they look nice. I've discovered the update might cause a minor issue with Scrivener when I log onto local ethernet with a different Windows user name but expect to figure out a work-around for that. I SPENT $30 of my hard-earned money on a Digipower rechargimg device for all of my portable devices and I am glad to carry the little guy around with me for Stateside and European duty. It comes with slots to connect two devices simultaneously and has cables for both iOS and USB charging through an adapter that can handle 110V in the States and 240V in Europe. Its metal prongs are standard US format and they won't bend outwards to hold the unit into a worn socket. The prongs on the charger snap elegantly into the housing of the unit and the compact black plastic block won't snag on other things when stored together with other gear. The charging cables also extend in a clean fashion downward from the unit, keeping things tidy when mingling with powered spaghetti cable clusters. The overall output of two amps is split between two channels and that means the Digipower charger probably won't recharge an iPad. Its labeling says "iPod/iPhone" but in a rush, some viewers might think because the cable fits their iPad, the charger will suit their needs. Its one amp per channel won't connect to iPads but it will deliver a trickle charge to Android tablets like my Motorola Xoom--it just takes a lot longer to get the tablet charged. I got the Digipower unit because I like its chunky format and I happen to have US-to-Ireland mains adapter that ensures I can use it in Ireland. I RETURN TO EUROPE with a seat pocket crammed as full as my cameraphone's memory. 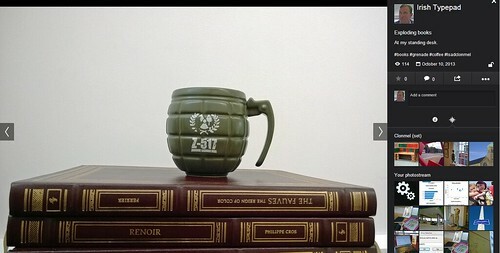 But more than that, I carry thoughts of an ex-pat able to see the American appeal. I got to see how air travel has changed because it has been four years since I last hopped the pond. Today, people know how to toggle to airplane mode. In that regard, Moleskines excel. I can spot a seasoned business traveler because she knows where to find the quietest nooks with free mains power. I now realise how wifi in the air has become an essential perk, perhaps as important as bags flying for free. I wish seat width was as accommodating. My bottom has grown broader as the airline seats have shrunk an inch. There is a seating protocol I have adopted. When I must sit in a middle seat, I look for ladies who are already in place with their legs crossed. In my experience, they don't encroach onto the middle seats. I want to reverse direction next October, taking the whole family back for Halloween in Pennsylvania. The savings plan starts now. TOP OF THE LEAGUE TABLE for the 12th successive year, Trinity College Dublin is the Sunday Times University of the Year for 2013. The Runner-up is the National University of Ireland, Maynooth. 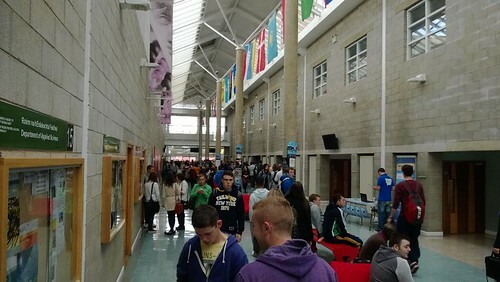 The Institute of Technology of the Year is IT, Carlow and runner-up is Athlone IT. I TOOK JANE BOYD'S ADVICE and started tracking my happiness so I now know walking brings me happiness. If the survey tracked my jogging, it would reveal euphoria. TrackYourHappiness.org generates three email questionnaires every day for me. My working schedule prevents me from answering the questions in a timely fashion. More timely responses increase the accuracy of results since the entire survey process depends upon spontaneity and honesty. I am delighted to discover that I am actually happier than my dour disposition suggests. And I am surprised to see how driving finds me in my most unhappy state. I guess you could conclude that it is only normal to be unhappy when commuting--that typifies my situation when I am in a car. Happiness = Capacity To Love!